El Hajj Malik El Shabazz, formerly known as Malcolm X, was one of the first Muslim Black men on a world stage from the United States to make the Hajj to Mecca. This trip was very pivotal in his life, because it gave him new experiences and time to think, having left the Nation of Islam, where he was the national spokesperson, after more than a decade of service. According to the “Autobiography of Malcolm X,” it was at this time when he recognized how powerful his voice was. He was greeted by heads of state from around the world, including many of the revolutionary leaders of the time, as well as being refused entry by France and Ethiopia. 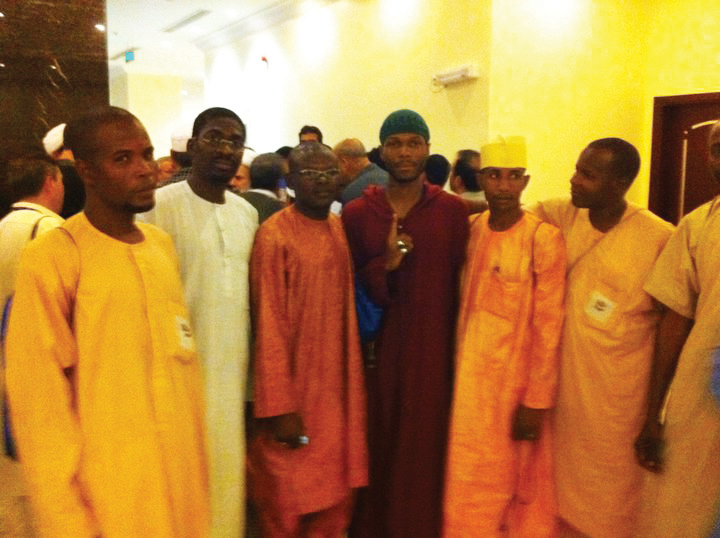 Approximately four and half decades later, his grandson, Malcolm Shabazz, who is also Muslim, working in the service of oppressed people, made his pilgrimage. This is the first interview to be published in the U.S. about his experience. Minister of Information JR: When you arrived in Medina and Mecca, what were the first things you noticed? What did it feel like? Malcolm Shabazz: In the name of Allah, the Most Beneficent, the Most Merciful, I for one have been all over the Middle East – from Qatar to the United Arab Emirates, Jordan, Lebanon, Syria and so forth. And I must say that Madina [an alternate spelling of Medina, the second holiest city in Islam] and Mecca definitely stood apart. For one, it’s a main pillar of Islam and obligatory upon every single Muslim around the world to at least have the sincere intention to make the holy pilgrimage to the Kaaba in Mecca, Saudi Arabia, at least once in their lifetime if they are physically and financially able. I personally know quite a few people who have been on Hajj, and everyone had spoken of this “holy” experience. I never met a person who expressed disappointment or had something of an ill experience to relay. I know people who came back from Hajj, and after a few weeks, let alone a few months, they were right back to their old ways. 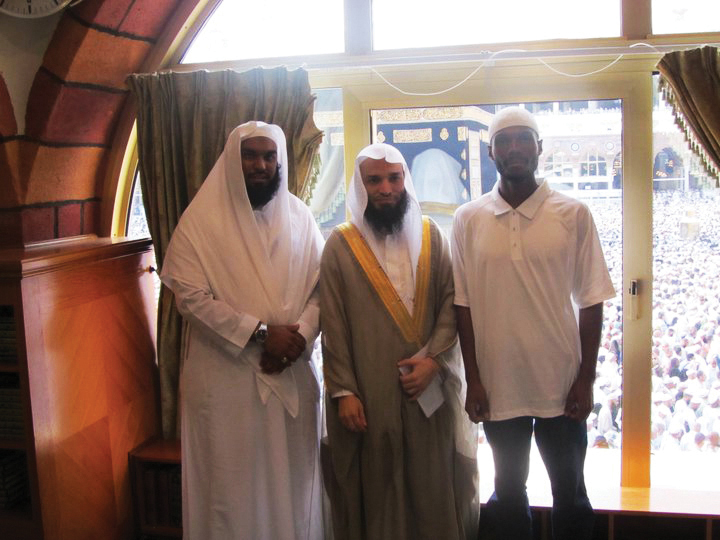 They could damn near tell me about the Hajj with an alcoholic beverage in their hand in the same instance. Yet, I also know others who have made the pilgrimage, and I can bear witness to the awesomely profound impact that it has had on their lives. It had such a profound impact on my grandfather’s life. So I came over here anticipating much – though not knowing quite exactly what to expect. The most I could say is that my intentions were pure. So before embarking on this journey, I resolved towards devoting my heart to Allah, stripping it of every preoccupation and barrier. I arrived in Madina on Nov. 5 at approximately 10 minutes before our morning prayer was to begin, which was about 4:55 a.m. One of the things that I immediately noticed was that despite the fact that there were millions upon millions of pilgrims that had all come in to the same place around the same time and from all over the world, the atmosphere was still so calm and serene. I had never witnessed this many people in one place at the same time nor do I believe I ever will again unless I’m blessed to return again for Hajj. I kind of felt like I was at the ultimate concert. Exception being that this wasn’t a concert for a rapper, singer or any other type of entertainer. Rather we were all here for the sake of seeking nearness to Allah. M.O.I. JR: How were you received? How do people look at young Black men from America? Malcolm Shabazz: Well, I personally was received quite well for the most part. Though we must also bear in mind that here on earth every place has its ups and downs, and anywhere you go in this world you will witness that Black people are most generally discriminated against. However, this prejudice has absolutely nothing to do with Al-Islam. When most people in the Middle East encounter Black people from the States they most likely assume that we are from Nigeria, Sudan or a host of other African countries – unless they take notice to our American style of dress, the fact that we speak English and so forth. When they find out that one of us is actually from America, they become quite curious. 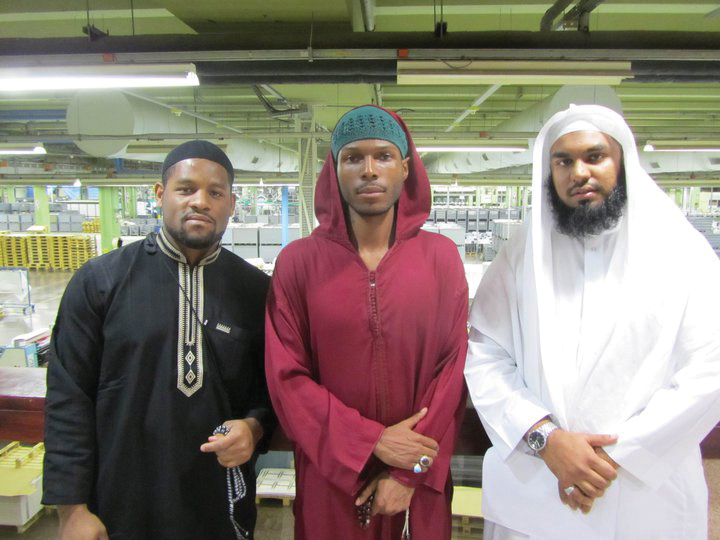 Many of them are unaware that there are many Black Muslims in the United States. And all that most of them know of us is what has been portrayed to them of us on television as being entertainers, athletes, criminals and thugs. It goes to show the power of mainstream media and how they don’t have our best interests at heart. However, I couldn’t wholly blame them for their perspectives of us. The way we most often perceive ourselves to be is the image that will be projected onto others. And what we as Black Amerikkans generally project onto others are images of ourselves that have been fostered to us by our oppressors. Case in point, when our oppressors called us “Niggers,” then we referred to ourselves as such; when our oppressors later came along and told us to call ourselves “Negros,” we began to refer to each other as such; then they later came along and told us that it was more politically correct to refer to ourselves as “African-Americans” and we accepted that also. Thus, we as a people have the responsibility of collectively standing for something, otherwise falling for anything and continually allowing others to define who we are for us. M.O.I. JR: What have been some of the highlights of your Hajj? Malcolm Shabazz: It was a blessing for me of such a profound magnitude to be afforded the opportunity to worship Allah (God) within the Masjid-e-Quba, which is located between Makkah [an alternate spelling of Mecca, the holiest city in Islam] and Madina, and is the first Masjid ever to be built in the time of the Prophet Muhammad (PBUH). It is also the first Masjid where Salatul Jama’ (Congregational Prayer) was recited. I also offered many prayers within the Masjidun Nabi (The Prophet’s Mosque), which was the second Mosque to be built in Madina. This is the city of the Prophet Muhammad (PBUH) himself, and it was quite humbling to realize that I was actually treading upon the very soil that he once set foot upon as well. This is the first city in the world where Islam was firmly established. I also went to visit the battlefield of Uhud, where the second battle of Islam took place. It is also where Hazrat Hamza, the Prophet Muhammad’s (PBUH) uncle, is buried. I met with royalty, dignitaries and various other high ranking Saudi officials, including Sheikh Saleh Husain, President of Affairs of both the Grand Mosque (Masjidul Haraam) and the Prophet’s Mosque (Masjidun Nabi); Sheikh Faisal Ghazawi, Imam of the Grand Mosque (Haramain); Dr. Anwar Eshki, former Major General of Saudi forces and President of the Middle East Center; and Abdulrahman Zamil, former member of the Shura Council. M.O.I. JR: What are you looking forward to? Malcolm Shabazz: My grandfather once said that “The past is not to be dwelt upon, but rather looked to as a road map or compass – in the present – in order to help us successfully navigate into the future.” Now at present, and by the Will and Grace of Allah, I am a revolutionary Muslim who is in service to the people, especially to the masses of downtrodden and oppressed. Though if I have learned anything from my grandmother, Dr. Betty Shabazz, it’s that [people] must first help themselves before they could even begin to think about being a savior towards others. So during the most recent stages of my journey, I had been more busy with self-building; however, at this phase I am more inclined and prepared to work on building more extensively with others. Although it must be kept in mind that the act of enlightening others is dependent upon and goes hand in hand with the purification of the self. After a hajji returns from Makkah and Madina, it becomes an obligation for them to convey that which they have brought back with them (self-building) through their actions. My speech, actions, manner and disposition must be an example for others. And this truly is the best gift that I can bring back for the people. M.O.I. JR: What new insights have you had since you left the United States? Malcolm Shabazz: Unfortunately, wisdom doesn’t come with age, but rather with experience, as experience is irrefutably the best of teachers. While knowledge is simply to know-the-ledge through familiarity or awareness, wisdom is that acquired knowledge tried and tested – through trial, error and tribulation – to bring about the best of understanding. If it’s at all true that we are, somewhat, products of our environments, then I suppose it would explain my current circumstances, the events which lead up to these points and why I had ever been as I was in thought and through action – though it is not necessary for me to run down a list of ills that may have affected me in one way or another. I have quite often been placed in many undesirable situations, yet I alone made the decisions which produced the consequent outcomes. We often find ourselves in situations where we wish that we could turn back the hands of time, to go back and do things differently – though time-travel isn’t a reality. So, the only remedy is to be as conscious as possible in the present, in order to successfully navigate into the future. What does this phrase 'war without terms' refer to? What a life story & journey ! Thank you for sharing the interview on this platform. Nice to be getting about more live news and more live streaming objectives as well,keep visiting this site. Thanks for making on live updates and media concepts always,keep it up with us.